Have you noticed the Layering Alphabet Edgelits Dies in the Annual Catalogue? I have to admit that I purchased the dies and coordinating stampset in April, but had put off using them. Why is that always the case? I got them out and made a card. 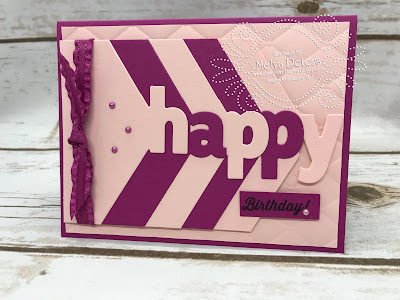 There is a great video from Stampin' Up! on how to use them, so after watching the video I got to work to make this card. 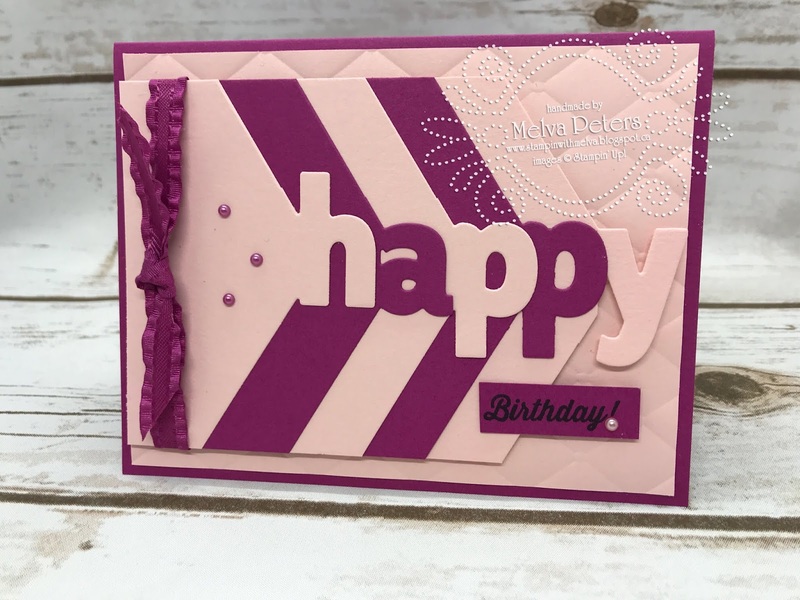 I have to admit, this card was a bit of a stretch for me - not my typical colour palette, but I love how it turned out!